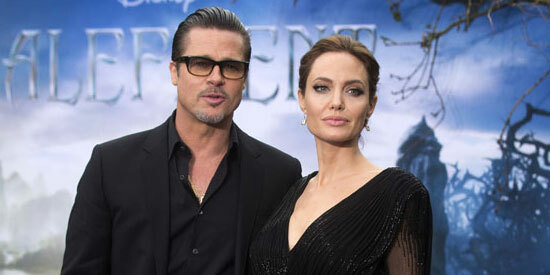 Angelina Jolie and Brad Pitt are honeymooning with their six children on a luxury yacht, called Athena. According to New York Post’s Page Six column, the Athena is a "300 feet long three-masted schooner" and the "fourth-largest sailing yacht in the world." Angelina Jolie and Brad Pitt are honeymooning with their six children on a luxury yacht in Malta. The famous couple—who secretly got married in France in August—are staying in a yacht while Angelina directs her upcoming new film By The Sea. According to New York Post’s Page Six column, the Athena is a "300 feet long three-masted schooner" and the "fourth-largest sailing yacht in the world." The vessel has plenty of room for their six children—Maddox, 13; Pax, 11, nine-year-old Zahara; eight-year-old Shiloh; and six-year-old twins Knox and Vivienne—as the newspaper reports that the yacht can house up to 10 people in its luxury master suits and four large bedrooms. It is also thought that the Athena, which was originally built for Netscape mogul James H. Clark and reportedly sold for $95 million in 2012, boasts a spacious "bridge deck media lounge" with a 60-inch plasma screen, a "restaurant-grade" kitchen, a piano in a main salon and even a library. The Academy Award-winning actress is currently filming her new film By The Sea along the coast of Malta alongside her new husband.